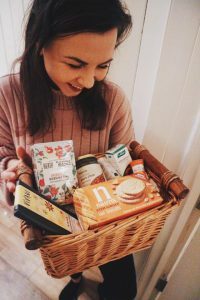 On Saturday we randomly picked a winner of our “Winter Warmer” competition, the prize being a basket of Honey Tree treats to keep you healthy and happy this winter. We had a fantastic response to the competition, on both Facebook and Instagram, so thank you everyone for entering! Katie Hull! Well done Katie.